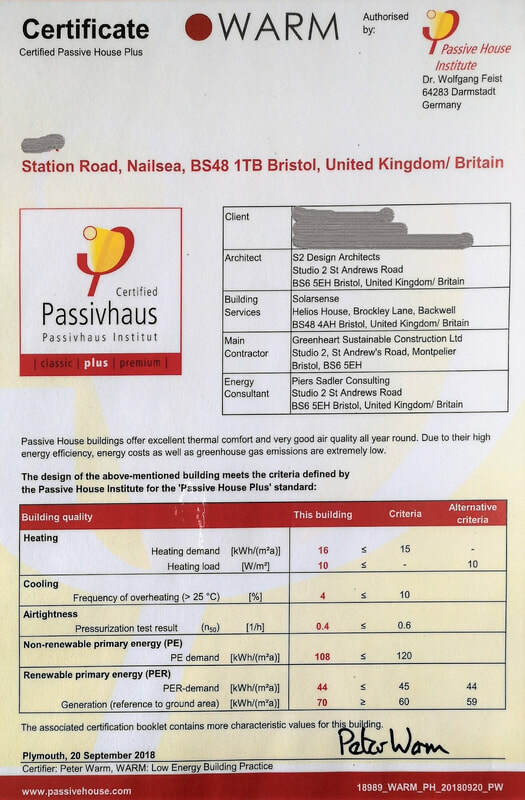 A certified Passive House Plus home in Nailsea, Bristol. This pioneering Passivhaus is a collaboration between Greenheart, S2 Architects and Sadler Consulting. 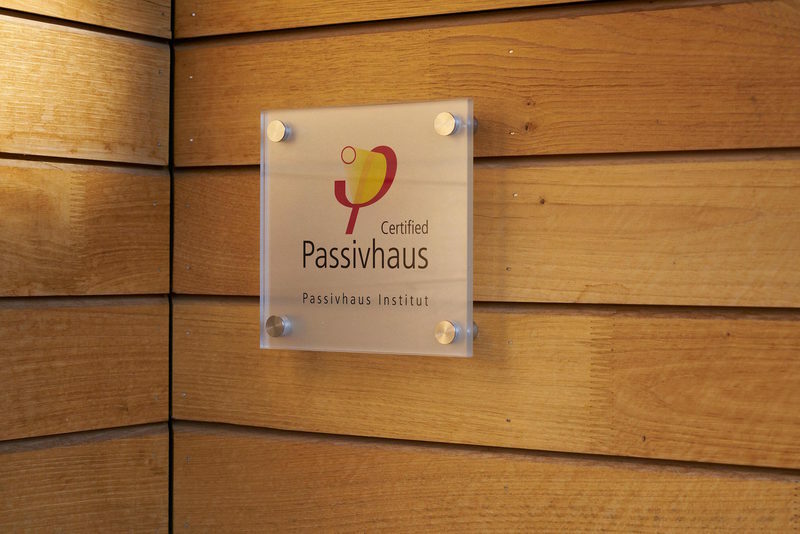 Contemporary in style and modest in scale, yet it is one of only a handful of buildings in the UK to achieve Passive House Plus certification, with impressive airtightness results of 0.35ACH @50Pa. Built on a flat plot in the clients large garden in Nailsea, near Bristol, the house is situated at the rear of the plot to make the most of the south facing garden. Ground conditions were difficult and required deep trench foundations, substantial ground-bearing slab and additional, significant soakaway and attenuation systems. 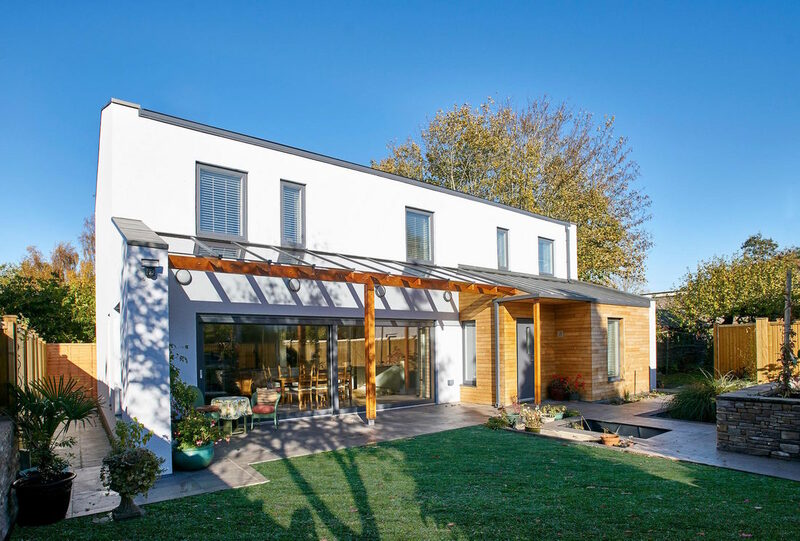 The structural timber frame was built on site from 360mm deep ‘I’ beams, with a simple trussed roof - partly due to cost and speed but also due to the very shallow pitch of the roof. 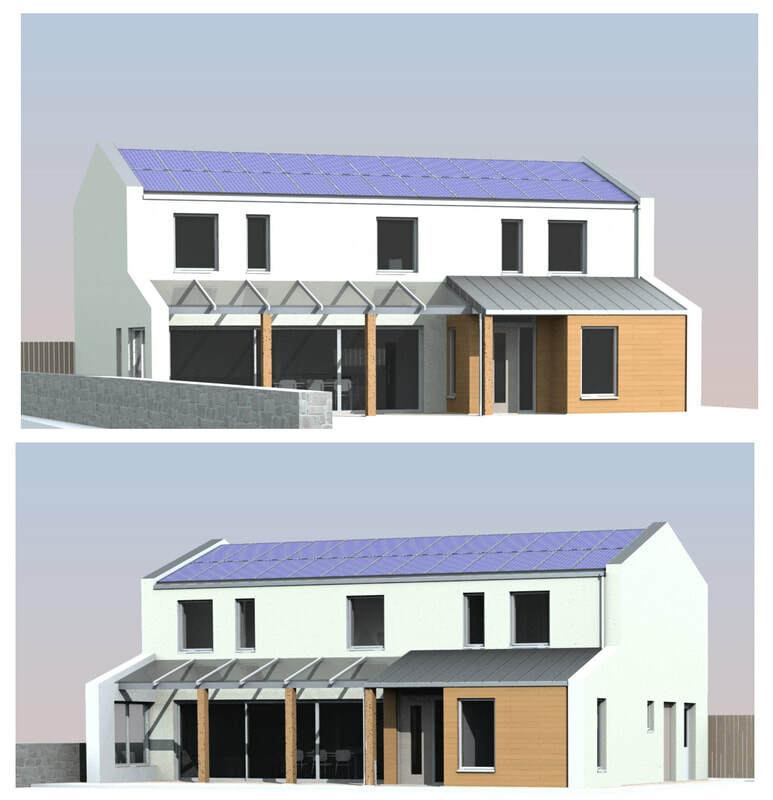 An integrated PV system was used for the whole of the south-facing roof. 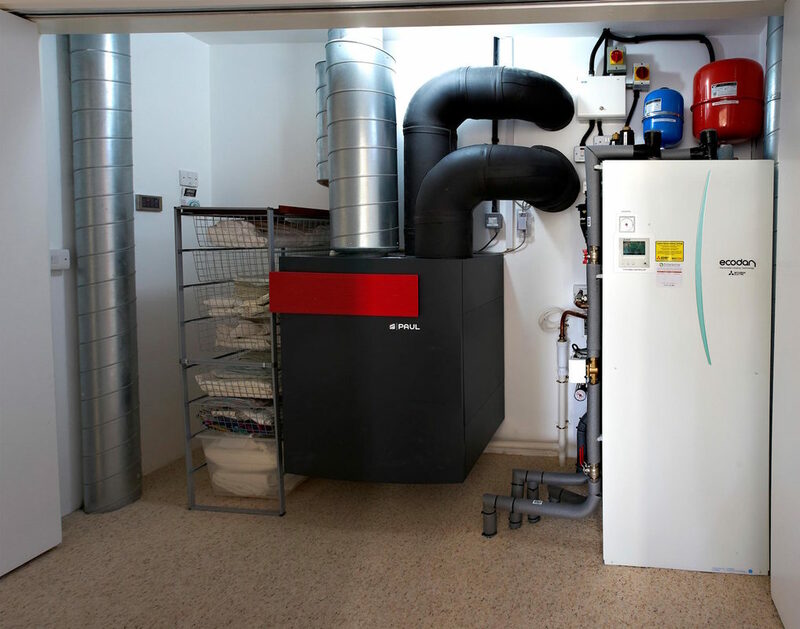 This was part of a renewables package designed to enable the building to be largely self sufficient in heating and hot water. 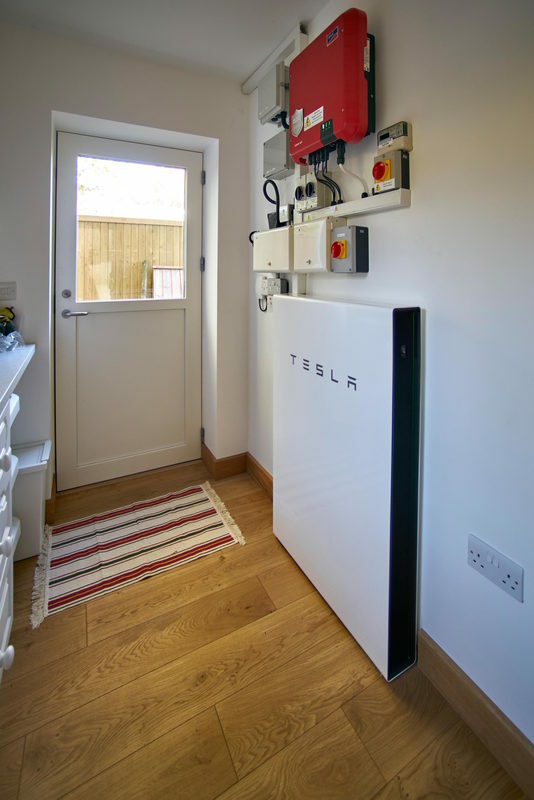 The package includes a whole roof integrated 7.3KW PV system, a Mitsubishi air source heat pump with thermal store and the latest Powerwall 2 TESLA battery for storage. 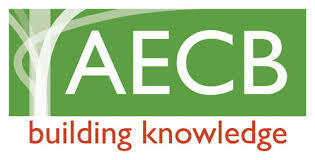 Data can be monitored by the clients via an app on a smartphone, laptop or tablet. 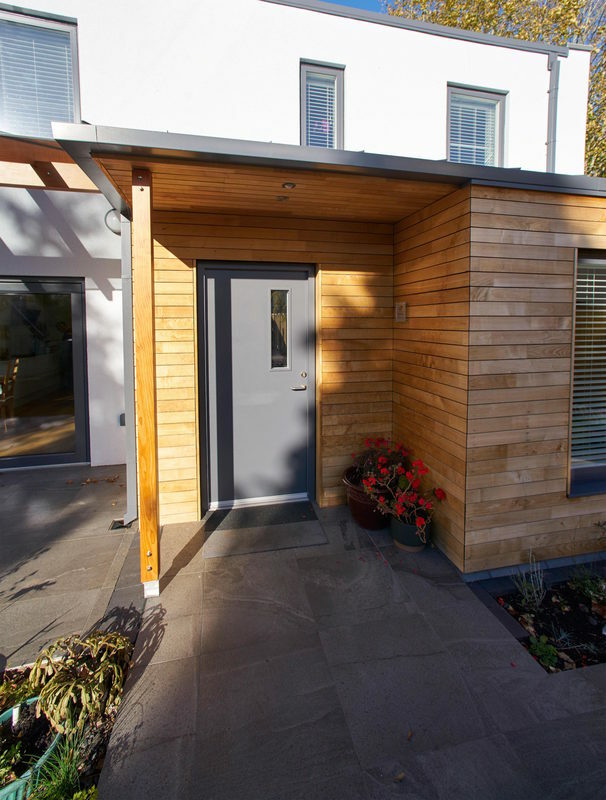 The external walls were insulated with WARMCEL, clad in 80mm Pavatex and rendered in a self-coloured Baumit render, the porch area clad in sweet chestnut. The loggia is built of Douglas Fir and the glazing is solar control glass from Pilkington to mitigate some of the solar gain through the large sliding window. All windows and external doors were certified PH, a combination of Rationel and Green Building Store with Fakro for the triple glazed roof light. 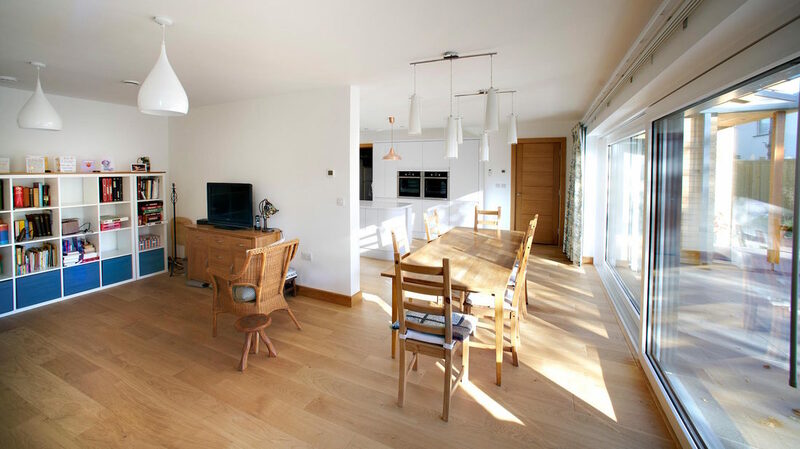 Internally the house is finished in a contemporary, simple style – oak floors and doors. 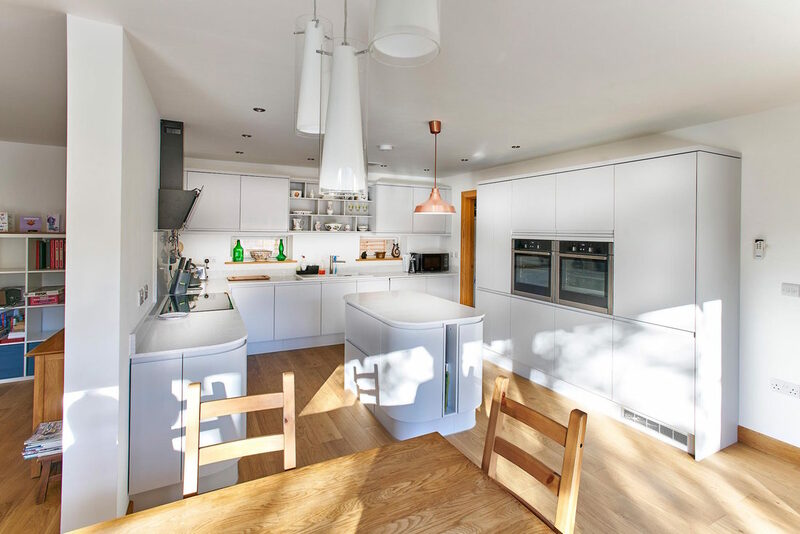 The kitchen is from Magnet with granite worktops. 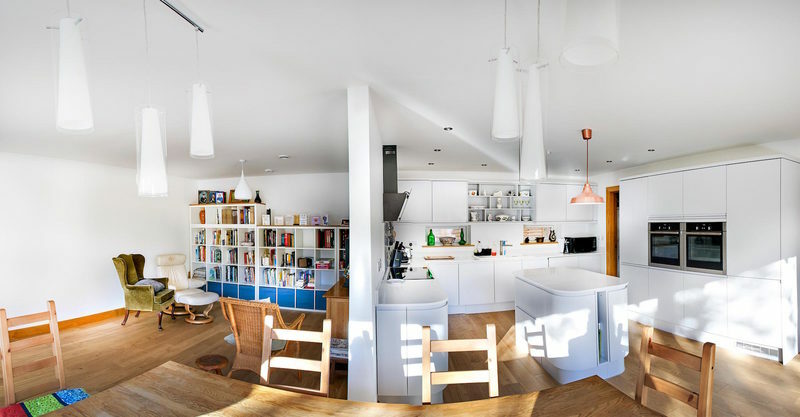 Upstairs, one of the large sliding storage cupboards is used as the plant-room, containing the Ecodan thermal store and PAUL MVHR unit. 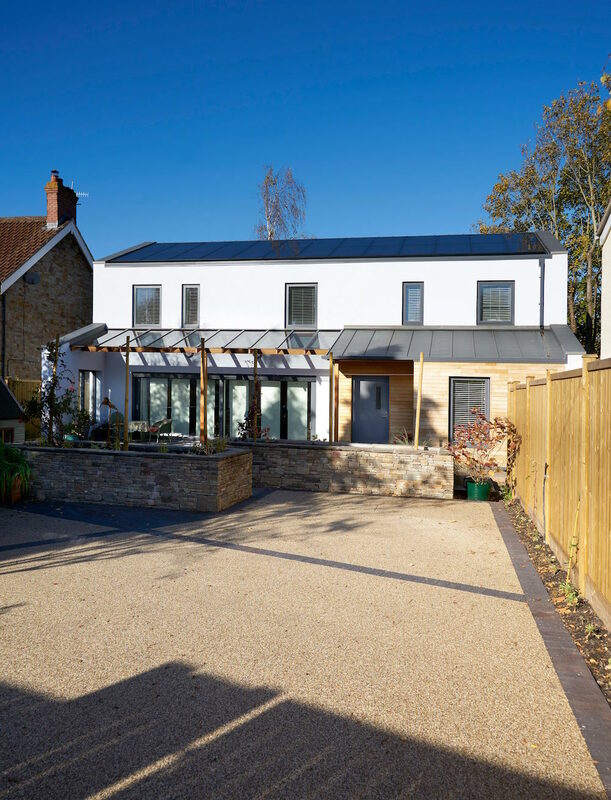 Both clients are keen gardeners and they were very involved in the landscaping and choice of materials, including the electric gates and resin-bound driveway which fulfilled the SUDs requirement. 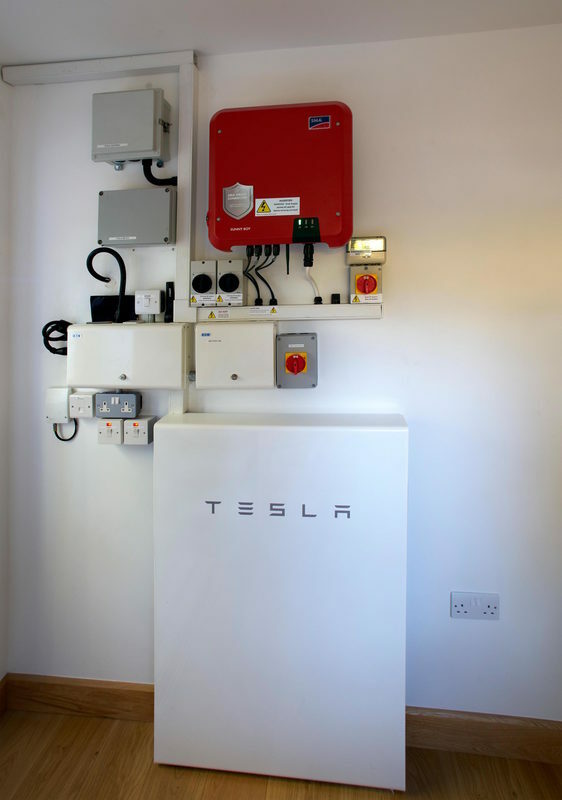 There is provision for a car charging point, with an electric car next on the list.